Opposition to the set maize price is still rife as some leaders continue faulting the government for setting the price of a 90kg bag of maize at Kshs 2,300, and have insisted that the set price won’t benefit the farmers. The decision, which was approved by the Cabinet last week in a meeting chaired by President Uhuru Kenyatta at State House Nairobi has been met with considerable opposition, with farmers facing tough times. 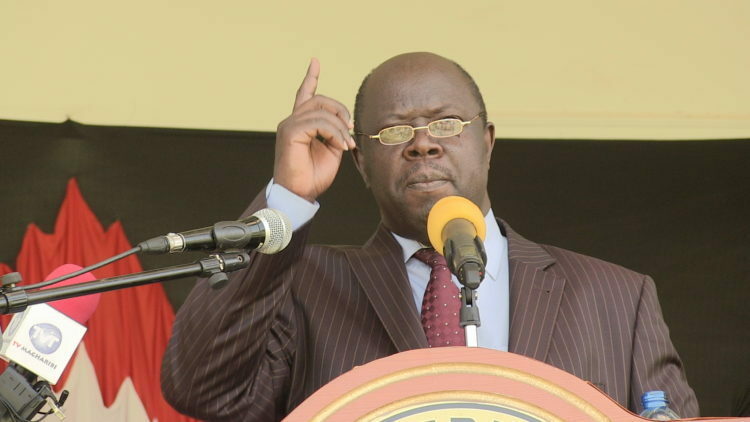 Trans Nzoia Governor Patrick Khaemba said the taskforce formed to probe issues facing the maize farming sector wasn’t given the chance to contribute to the pricing decision. He said the taskforce wasn’t given the time to present their report, “We were meant to sit and propose to the government our take concerning the maize prices but before we gave the report, the price was announced. Maybe they thought that the farmers will complain due to delay,” he said. He said the price was announced without the taskforce playing their part but they’ll directly appeal to President Kenyatta. “We’ll take the report to him to appeal, and we’ll tell him that Kshs 2,300 means the farmers aren’t getting anything in return,” said Governor Khaemba. On his part, Cherangany MP Joshua Kutuny who had raised the alarm last week after the price was approved, said the government should suspend the fertilizer subsidies and use the money to buy maize from farmers at Kshs 3,600. He said cartels are in control of operations and have shifted their attention to fertilizer by reducing the originally planned bag valuation, “The government was to buy maize at Kshs 3,300 but cartels who brought maize removed an amount of Kshs 1,000 and set aside for the fertilizer which is now at the port in Mombasa. We want the Kshs 1,000 valuation that was cut off to be returned,” he said.